You are currently browsing the tag archive for the ‘Charlie Dog’ tag. ‘Awful Orphan’ is the second cartoon of five starring that delightfully annoying mutt, Charlie Dog. 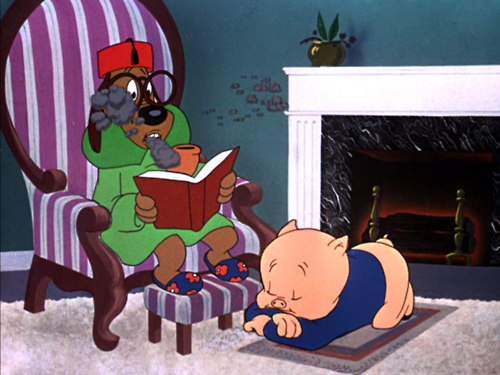 In this short Charlie Dog sneaks into Porky’s apartment ‘disguised’ as a canary. 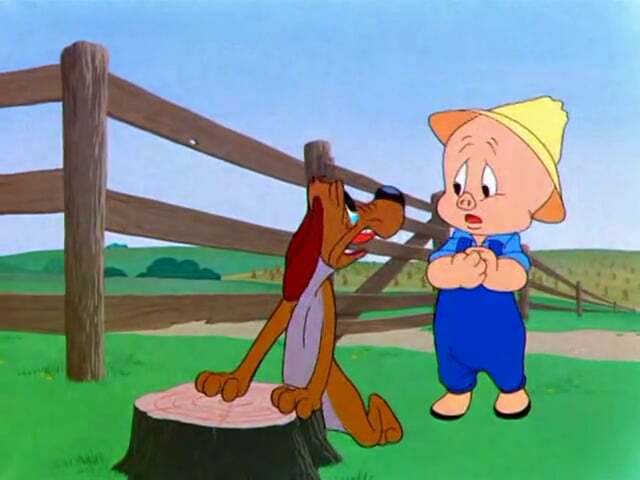 He then tries to persuade an unwilling Porky Pig to let him stay as a pet. In the end Porky even forces him to stay, as a master with Porky being his dog. ‘Awful Orphan’ is hampered by Porky’s untypical behavior, being rather nasty at several points. The animation, however, is top notch, and full of excellent poses and smears. 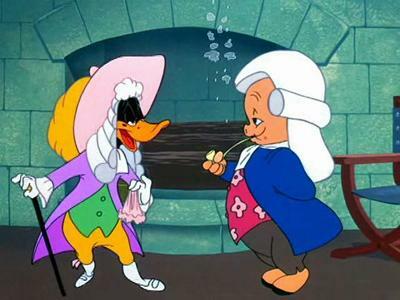 On Porky’s wall we can see a rather fauvist painting of two naked ladies, one of the smaller signs of Jones’ interest in more classical arts.